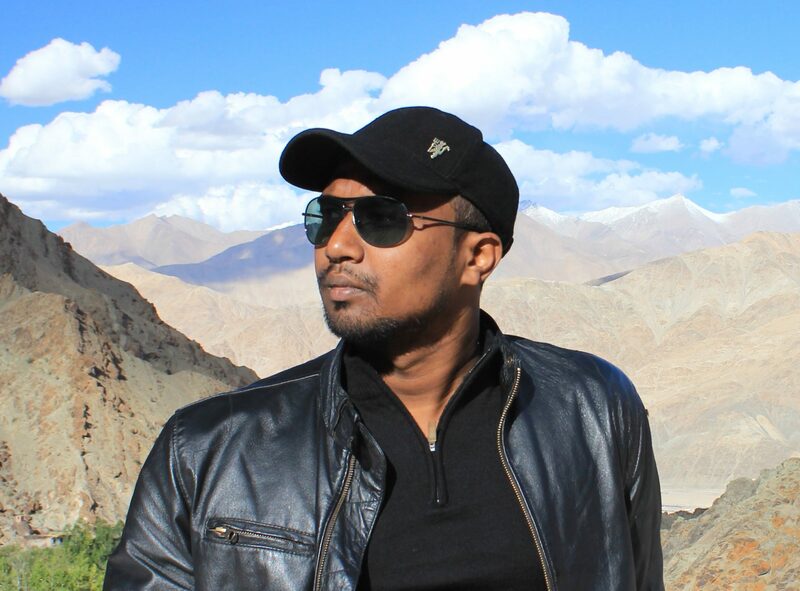 Mention of a trek brings back memories of my past trek done months ago in full rainy season. 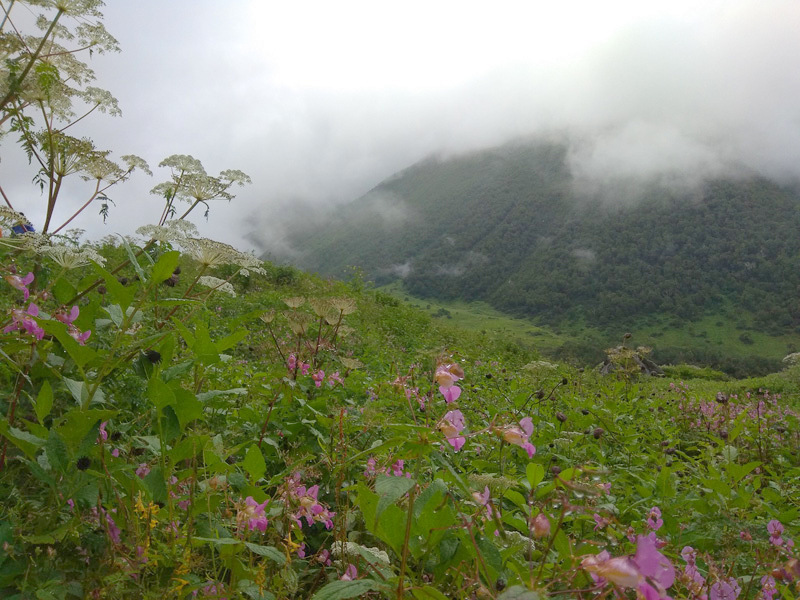 Rajmachi trek was in my list of to do trek for a long time and I totally blame the moribund cobweb of system around ,for keeping me busy and away from my trekking habits. 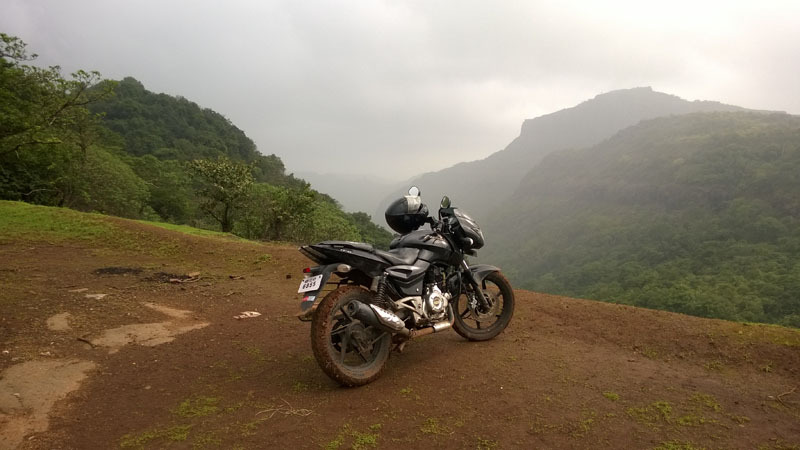 I left Pune on my bike ,at around 8 am amid the surprise morning .I choose this trek not only because I needed a break but also for the facts it happened to be most nearest trekking destination from my home at Pune. 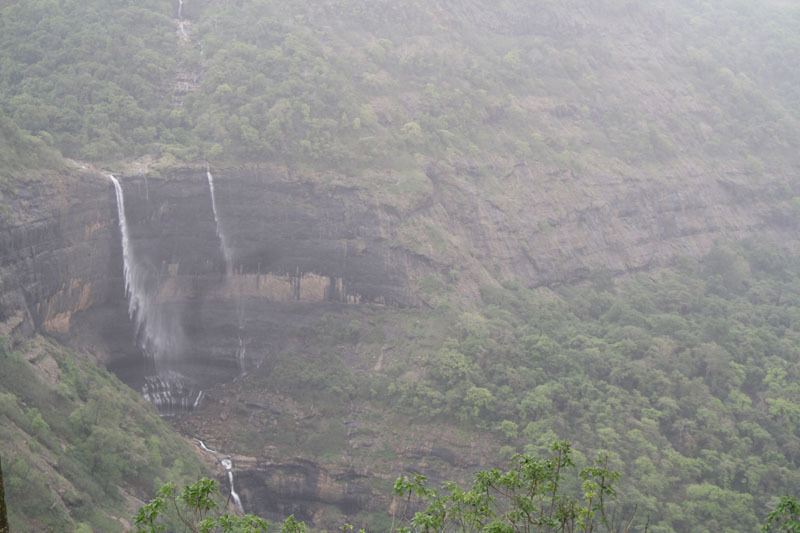 I just needed to drive 60 kms down to the picturesque town of Lonavala to reach the starting point of the trek. Reached Lonavala around 11 am . 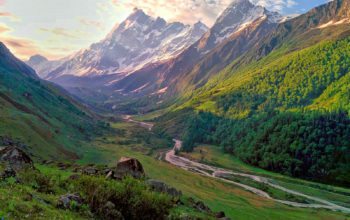 While browsing its routes I came to know that there are two trekking routes to reach the forts . 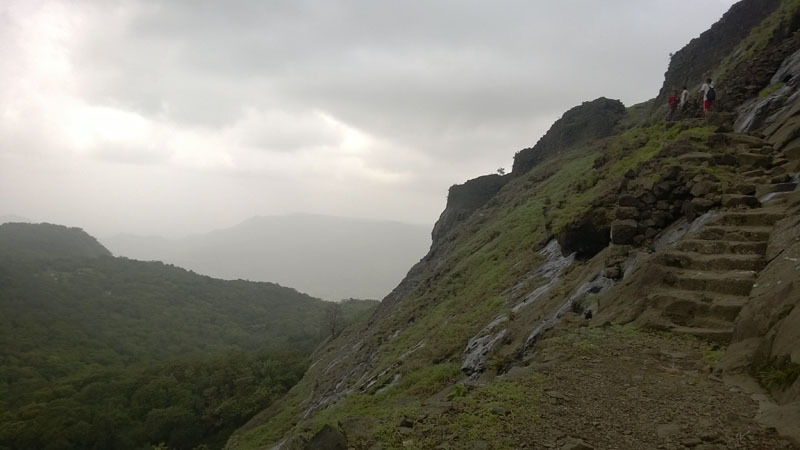 A moderately difficult trek route is from the Karjat city side via Kondivade village and other one ,an easy route which needed just lazy steps on the gradual ascent-ed path for 15 kms to reach the fort .I decided to take up the later route . 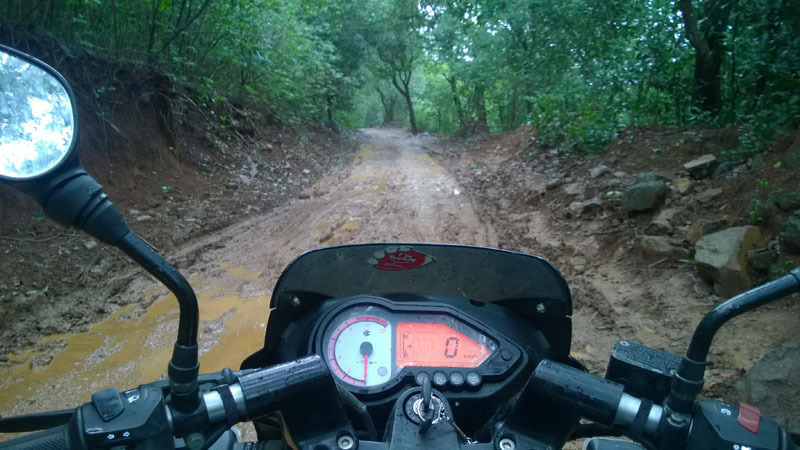 I left my bike near a friend’s house at Lonavala and then I put forward my best foot on the trek route . While it also rained throughout the last night ,the path was mostly filled up of mud slush. Except the spectacular view throughout the trekking route the i felt it was just a mediocre task of walking and walking and walking up a gradient mountain route .Nothing tough .It took me around 2 hours to reach the Waterfall point ,from where I could see the magnificent view of the horse shoe shaped Kune Waterfalls.Quite a relishing sight. A cup of tea made by a local tea seller made me to feel past the mediocre trekking route . 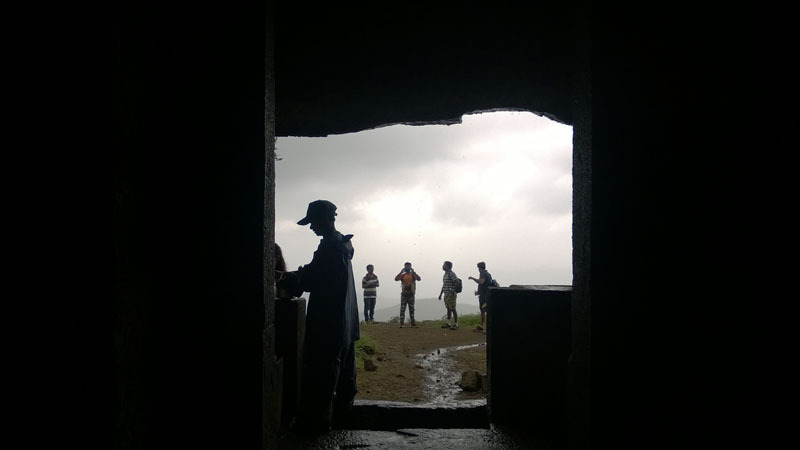 Another half hour from the waterfall point took me to the fort’s base village of Udhewadi . A fleet of stone cut paved steps took me further ahead right to the actual entrance gates of the fort . 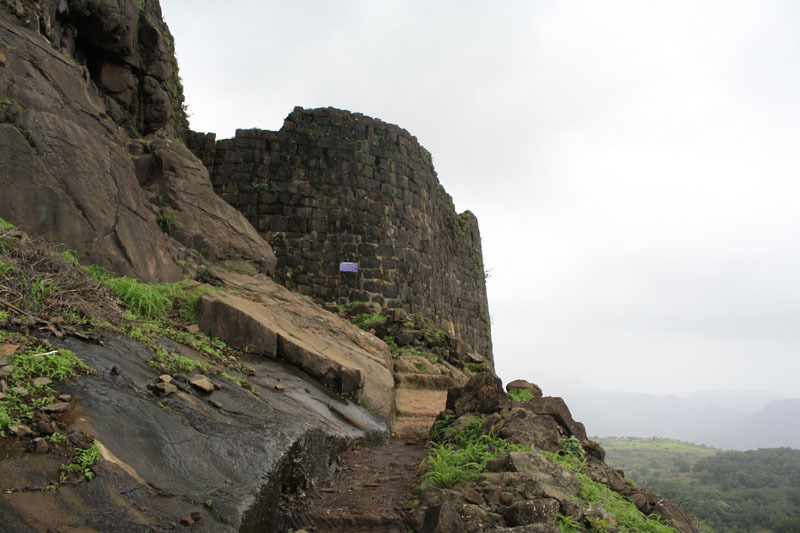 Established by the Satavahanas clan of Bijapur in early 15th century this fort held its prominence in controlling the main trade route called Borghat route between Khopoli and Khandala on Mumbai-Pune route. It was captured by Shivaji Maharaj in the year of 1657 AD from its then rulers . From 1704 to 1705, it briefly came under the controls of Mughals before being regained by the Marathas . The British took over the ownership of this fort after the Maratha kingdom witnessed a downfall during early 18th century. The fort consists of two Balekillas namely Manaranjan fort and Shrivardhan ,which are said to be the two main attraction points here. The fort on the east is the taller Shrivardhan fort and to its opposite is the Manaranjan fort. With limited time in hand I took the shortest route to reach the Shrivardhan fort . 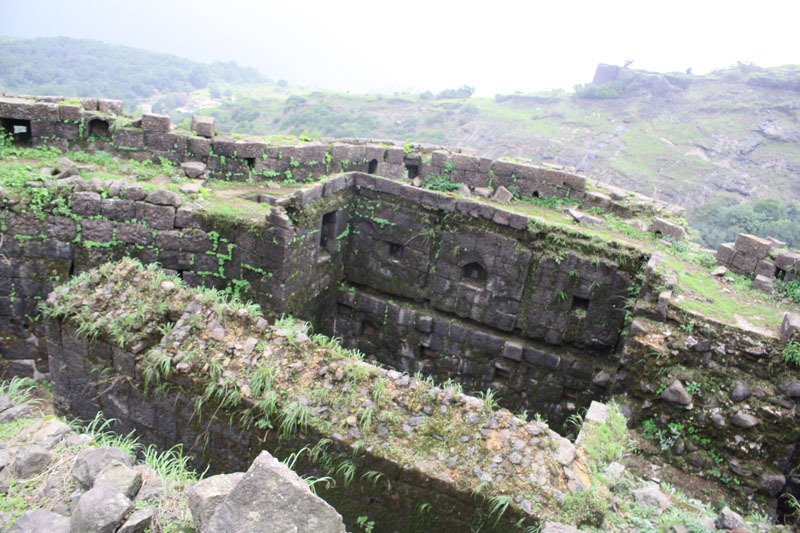 Now ,all in ruins the fort is said to be around 2710 feet from the sea level .Reaching to the top part of the fort I witnessed the real grandeur design of the fort complex .Surrounded by a wide plateau overlooking the Bor Ghats it offered an amazing view of the Sahyadri mountains. The fort complex is also huge in its terms .Inside its strong walled massive gated fort complex there were huge ramparts that divided the residential units to the outer fortified fort walls. 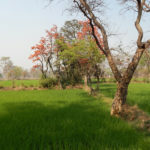 The residential area have dilapidated houses which served as the residence for its dwellers .Many water reservoirs can also be found, which served as source of water during the summers .The pathways leading to the central hallway have many well thought defenses with narrow and sharp bends . These must have put many of its adversaries including the Mughals into serious difficulties while overcoming the fort’s defenses. 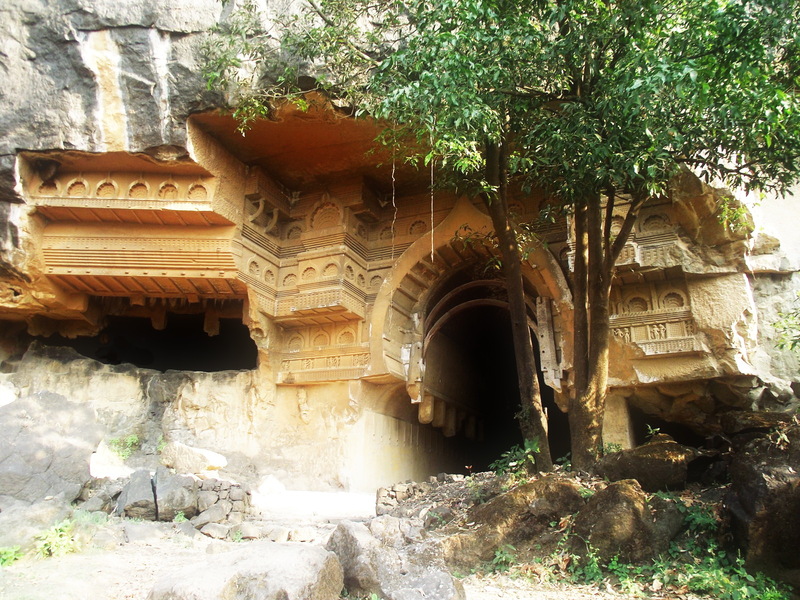 Several temples and ancient Buddhist caves which are believed to be even older than the fort itself can also be found here which forming a part of this ancient fortification . I spent around 2 hours more inside the fort after when I decided to head back.Another unforgettable memory etched for a lifetime . Lonavala is at a distance of around 60kms from Pune .The nearest domestic airport to Lonavala is Lohegaon Airport, Pune which is well connected with many Indian city . From there you need to hire a local vehicle to reach Lonavala. From Mumbai ,Lonavala is approx 90 kms distance .One can also board flights till Mumbai and then travel to Lonavala by bus/train or on rental car.Otherwise the cheapest way to reach Lonavala is by travelling on Railways station from CSTM station till Lonavala railway station. It takes 2 hrs to reach . 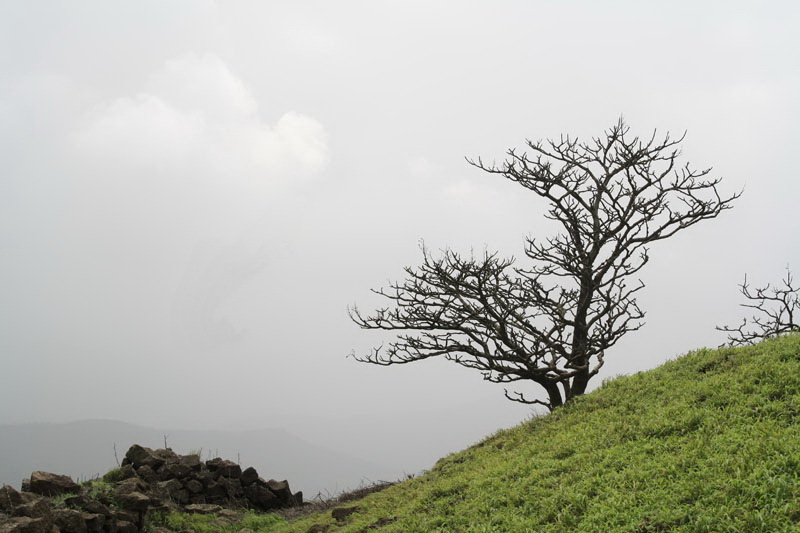 1) Lion’s Point – The highest point of Lonavala hillstation which is a must visit during Sunset.15km from Lonavala Bus stop. 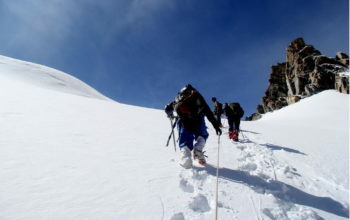 2) Della Adventures – It is an one-stop destination for a wide range of fun filled Extreme Adventure activities. It has its own theme park and resorts which makes it a perfect place for a perfect family weekend getaways. 4) There are also some of the finest theme and water park like Imagica Theme park and Wet n Joy Water park which can be coupled as a weekened fun activity . Since Lonavala is a favorite Hillstation whose lanes are always busy throughout the year ,it provides a vast array of Hotels and Resorts option for tourist .My All time favorite Resorts is The Machan .Check out its availability here for booking your comfortable stay. 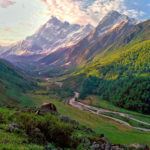 Or otherwise find your accommodation in makemytrip.com or Yatra.com or Booking.com .